I am NOT a morning person, but my day job as a teacher requires me to over-caffeinate and put my big girl pants on so I can function with the rest of civilized society. Like me, my skin also needs a wake-up call, especially now that we’re heading into Fall. Autumn means more events, more makeup, more hustle and bustle since I’m back to work. Around the change of season, I love doing a little detox of my body and mind. Your SKIN is no exception! 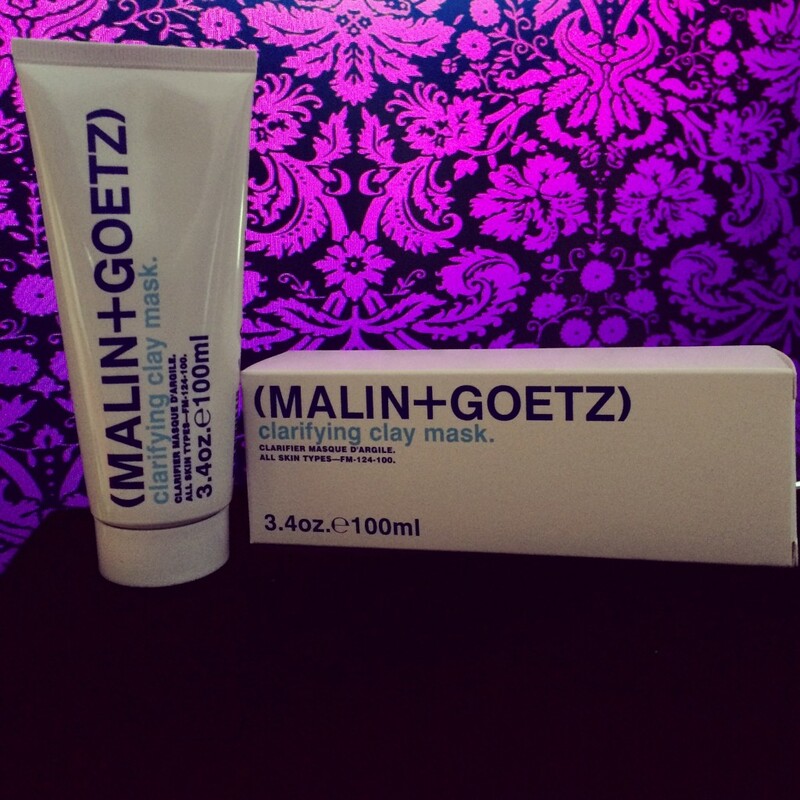 Let’s get started: meet the MALIN + GOETZ Clarifying Clay Mask! I was especially stoked to try the MALIN + GOETZ Clarifying Clay Mask ($48) because I am a total mask junkie, and I also have oily skin…so kaolin clay is my BFF when it comes to skincare ingredients. This mask packs clay, pumice, witch hazel, and arnica to clarify the skin as it draws out impurities and polishes the skin. This is a trifecta (yes, I’m using that word) of skin detox at its finest. The mask also claims to minimize pores and exfoliate as it cleanses and purifies. I love a good multitasking product! You only need about a quarter sized dollop of MALIN + GOETZ Clarifying Clay Mask to start. I slathered this on my whole face and doubled up a little on my problem areas like my nose, chin, and forehead. MALIN + GOETZ suggest leaving it on for 10 minutes or until the mask is dry. Upon application I was met with an INTENSE, but awesome burst of pepperminty-citrus bliss. The mask is thick and almost like a soft putty, but spreading it with a bit of water helped distribute it evenly on my skin. The mask tingles and feels like it’s really cleaning out those pores. I used this in the morning after my workout and boy did my skin feel great! After rinsing it off (I used a washcloth to gently scrub first since this mask is thick), I splashed my face with warm water and patted dry. I loved that instantly my skin was more matte and even looking. My skin felt really clean! This mask rinses off easily and does not leave any residue like some masks can. I recommend this for ANYONE who needs a cruelty free, natural-based means of keeping oil and blemishes at bay. 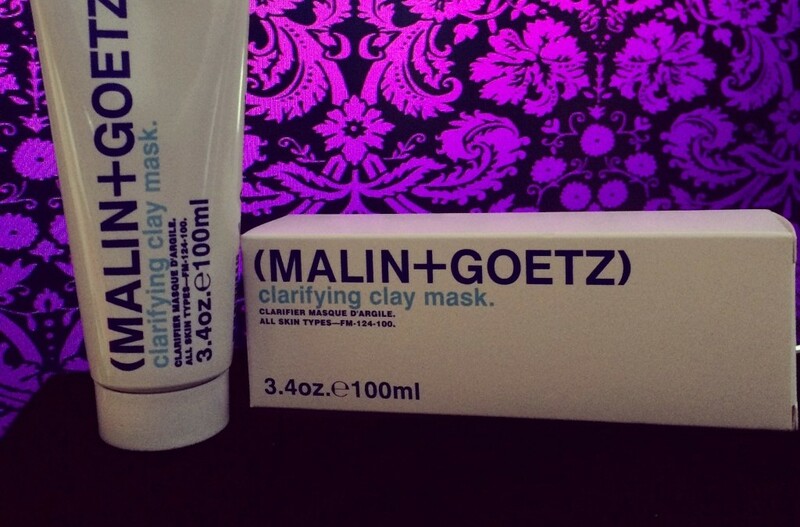 MALIN + GOETZ Clarifying Clay Mask needs a spot in your shower basket! Author’s Note: This post is not sponsored. All thoughts are unbiased and my own. Samples were provided for editorial consideration.